Fashioned For Living: leggings outfit with blush cardigan and black sneakers. lularoe leggings outfit. 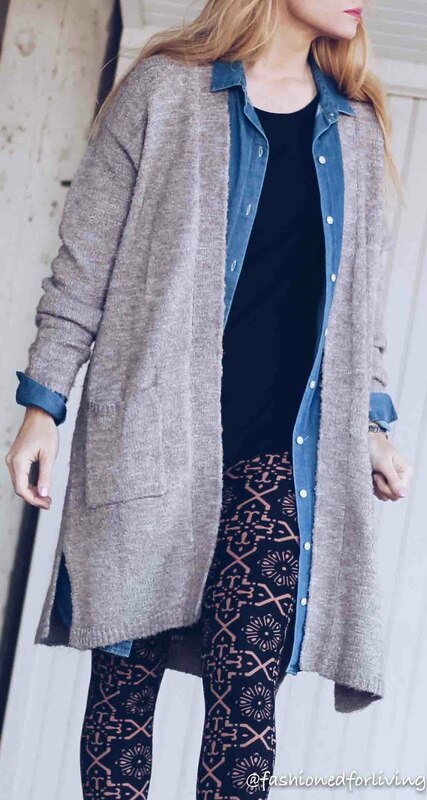 leggings outfit with blush cardigan and black sneakers. lularoe leggings outfit. 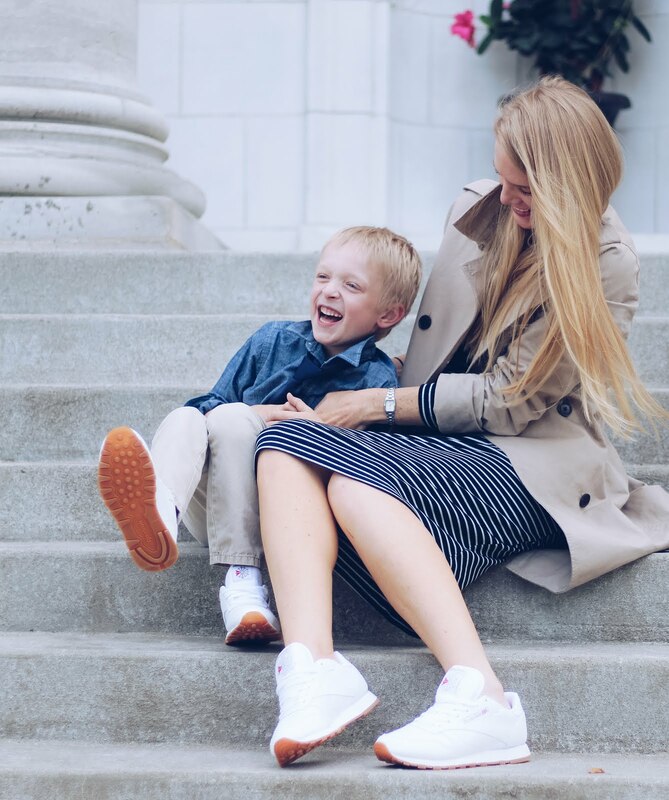 This is how I love to dress most days, my "mom on duty style", aka dressed up leggings outfits!! I'm loving these printed leggings from LuLaRoe to mix up my usually plain black leggings. I love a good denim shirt with almost any outfit, but for a little different look try wearing a denim shirt dress as a jacket. A great way to get more use out of that closet staple!! My blush cardigan sweater is a favorite that I wear all the time. Cozy, cute, and it has pockets!! linking similar items to recreate this look.